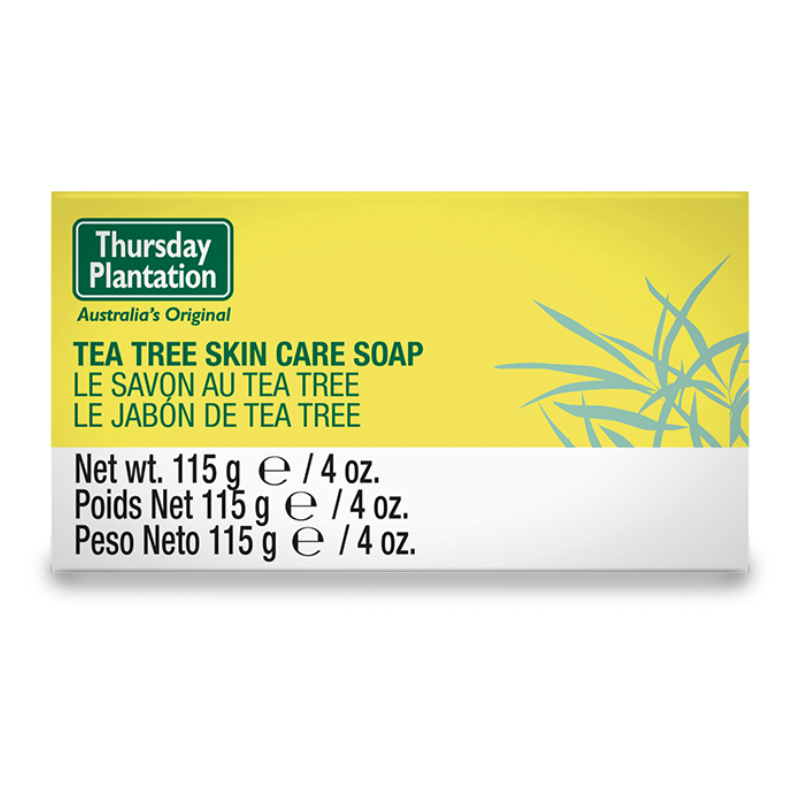 Made with 99% naturally derived ingredients, Thursday Plantation Tea Tree Soap is ideal for removing the build up of oil and dirt. It cleanses and purifies all skin types. Made with 99% naturally derived ingredients. Free from polysorbates, petrochemicals, mineral oils, propylene glycol, SLS, SLES, synthetic fragrances, synthetic colours, synthetic preservatives, synthetic parabens and animal derived ingredients. Sodium Palmate, Sodium Cocoate, Water/Aqua, Coconut Acid, Melaleuca Alternifolia Leaf Oil, Glycerin, Sodium Chloride, Titanium Dioxide, Tetrasodium EDTA, Etidronic Acid, Limonene.